The average single family home sales price in this district during the first six months of 2016 was $2,532,500, compared to $2,541,494 in the second half of last year. Therefore, the average sales price for a home in Noe has remained about the same during this time. However single family homes sold for an average of 7% over the asking price so far this year compared to 14% over the asking price in the last six months of last year. The average time on the market for these homes has been an average of 30 days in the first six months of this year, compared to 23 days the last six months of 2015. Fewer homes sold (53) in the first six months of 2016 than in the last six months of 2015 (63). The average sales price for a condo in this district for the first six months of 2016 was $1,307,039, down 7 percent from $1,406,973 for the last six months of 2015. Condos sold for an average of 8% over the asking price this year, down from 12% over the asking price in the prior six months. The average time on the market for these condos is up to 31 days, from 26 days last year, and fewer condos sold (down to 36 from 45). In hotter markets, many agents set an “offer date” when offers will be reviewed, to encourage an auction mentality and so solicit the best price. 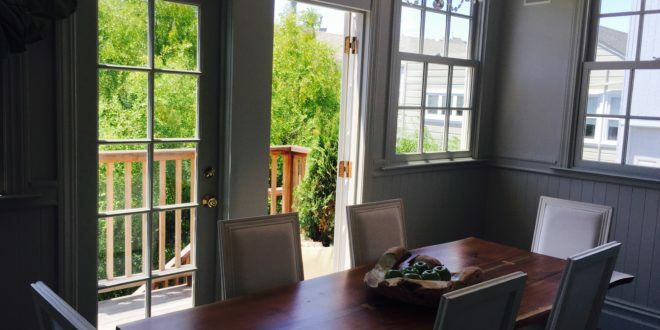 On Broker’s Tour this week, while some agents I spoke with in Noe were moving forward with an offer date the second week their listing was on the market, others were waiting for the third week, after the July 4th holiday, most likely to get more interested buyers. At one lovely property in Noe (see attached photo), the agent had given out only six disclosures (serious buyers ask for disclosure packages that provide detailed information on the property; the number of requests is a good indicator of the level of interest). This agent vacillated between taking offers this week or waiting. While the market is still strong in Noe, things are starting to change. If you are looking to buy in Noe or anywhere else in the city, please don’t hesitate to give me a call. Previous: My Favorite Bay Area Hike! Next: What’s On The SF Market For Around $1M?